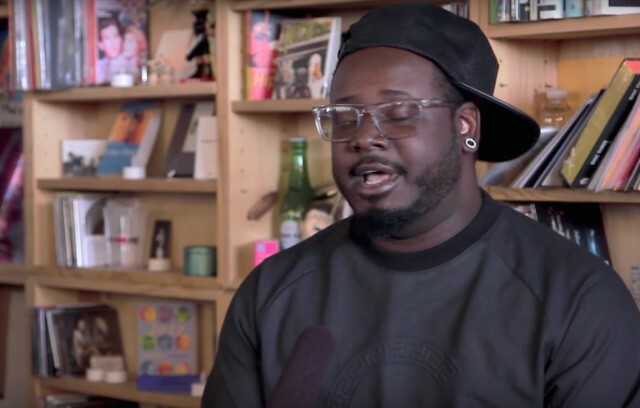 Almost three years ago, delightful R&B goof T-Pain recorded a Tiny Desk Concert for NPR, leaving behind his trademark Auto-Tune and simply singing a few of his brain-conquering hits beautifully and fervently, with only a keyboardist to back him up. He also made a lot of self-deprecating jokes. The end result was a compulsively watchable, deeply impressive video that proceeded to go viral as all hell. (In a recent Ringer piece, my friend Rob Harvilla used it as a peg to talk about all the websites pivoting to video these days.) Now, three years later, as Miss Info points out, T-Pain has announced plans for a short acoustic tour of intimate venues, one that will involve no Auto-Tune. The whole thing was directly inspired by that Tiny Desk Concert, and it should be fun as hell. Below, check out the tour dates and that original Tiny Desk video.